This iPad2 cover is constructed of durable hard plastic to protect your iPad2. The iPad2 cover snaps safely and snugly onto the back of the unit. The aluminum sublimation ready plate adheres to the recessed face of the cover. 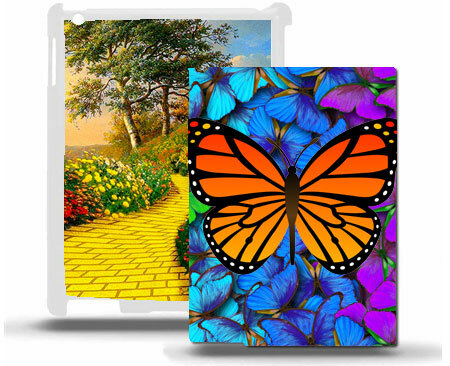 Our iPad2 covers come with a sublimation metal insert. Available In: White or Clear.